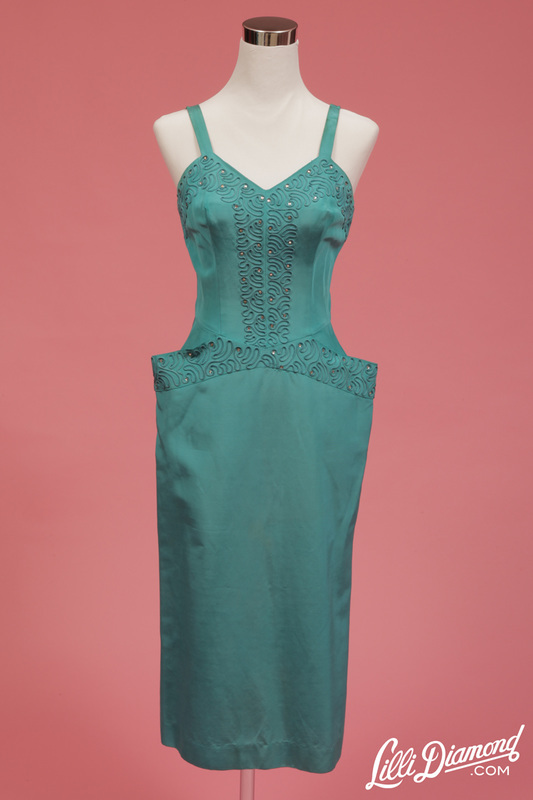 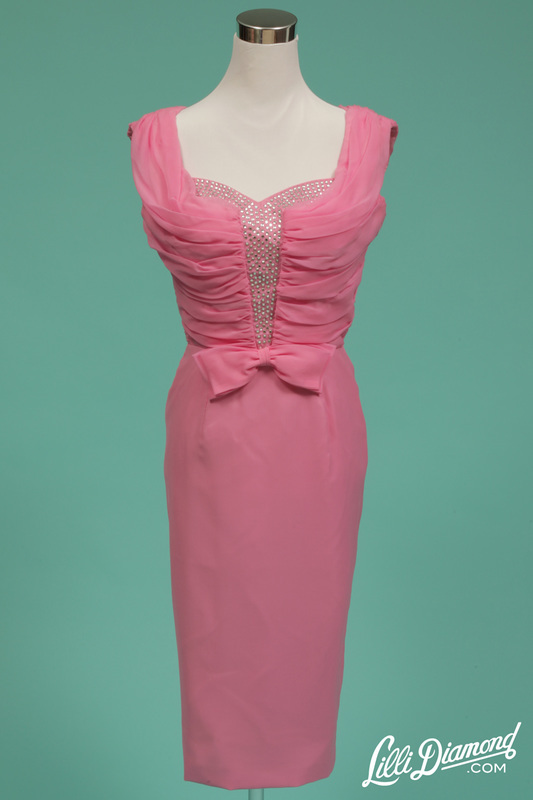 SCROLL DOWN FOR A VIRTUAL MUSEUM FROM THE GOLDEN AGE OF THE LABEL FROM 1951-65. 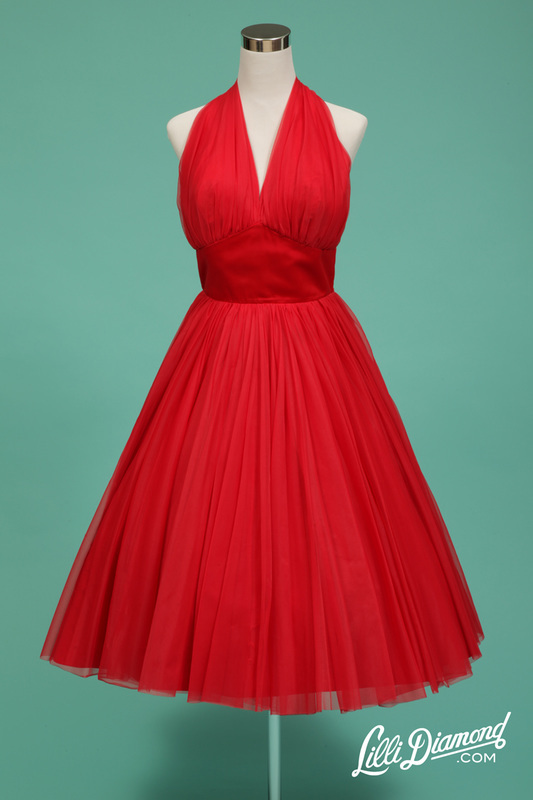 SORRY, NOTHING IS FOR SALE! 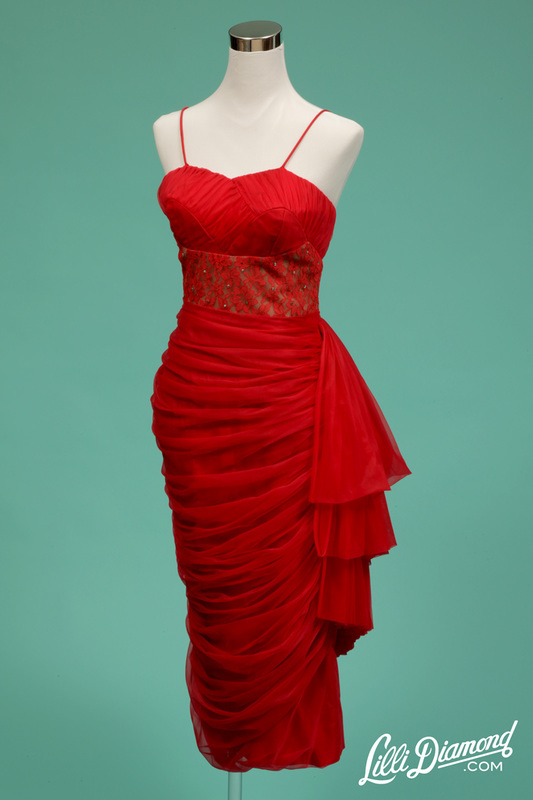 Red ruched nylon wiggle dress with illusion lace waist. 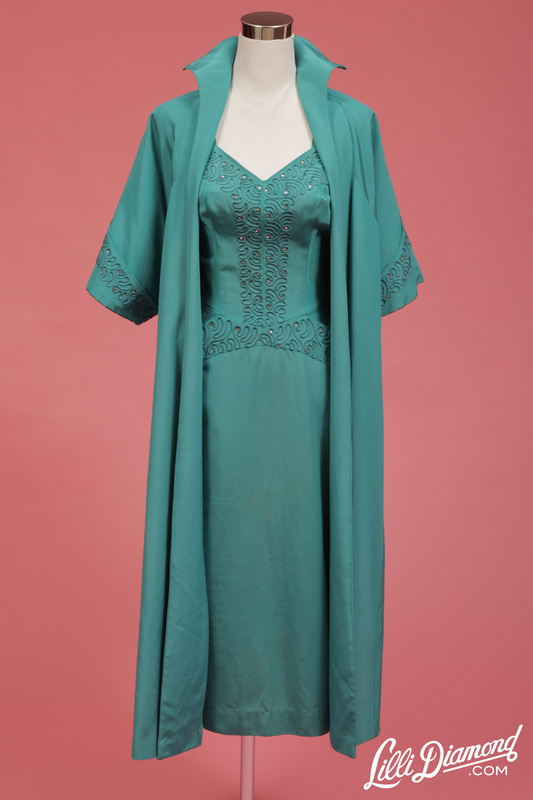 Turquoise rayon faille dress and coat set with soutache and rhinestones. 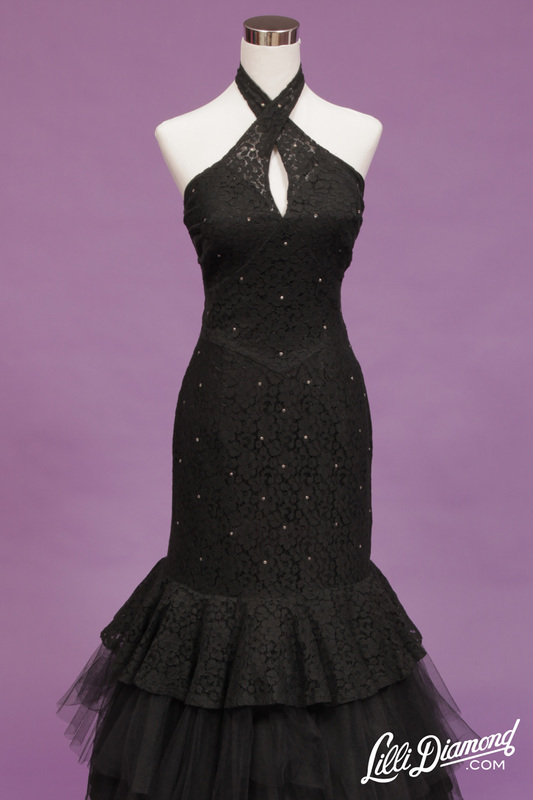 Black lace crossover halter mermaid dress with claw set rhinestones. 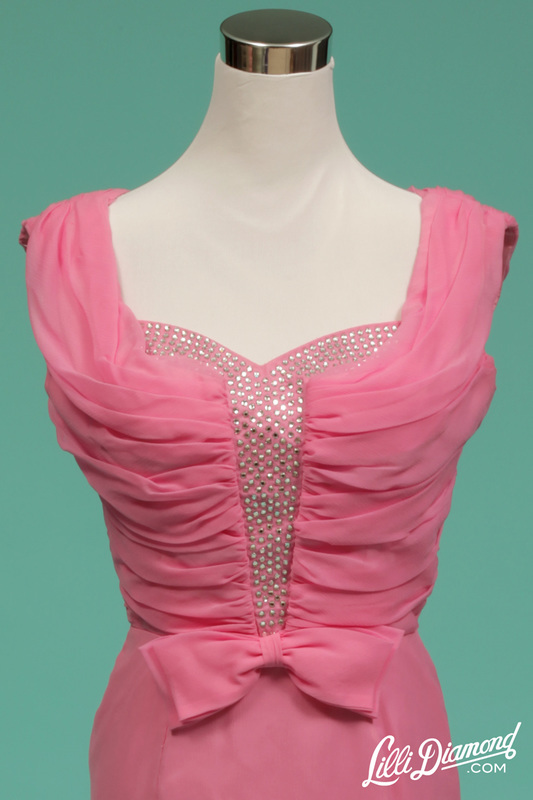 Pink ruched chiffon wiggle dress with rhinestone bodice. 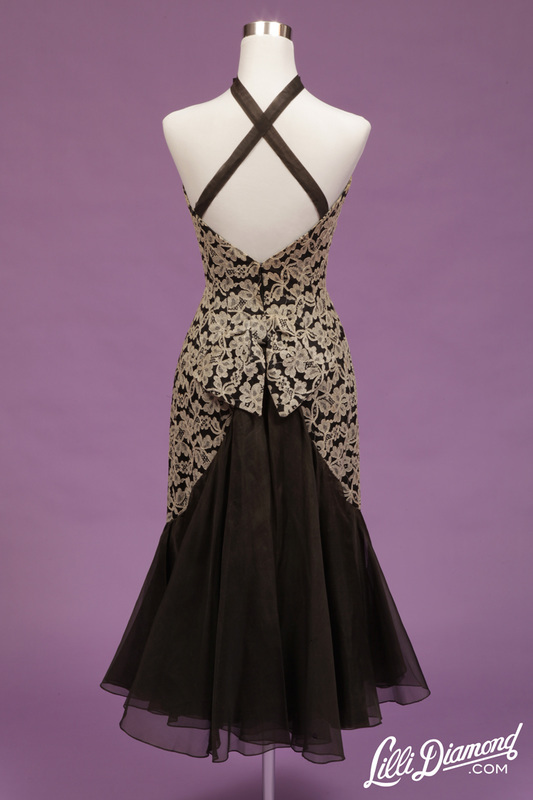 Black illusion lace mermaid dress with mandarin collar and claw set rhinestones. 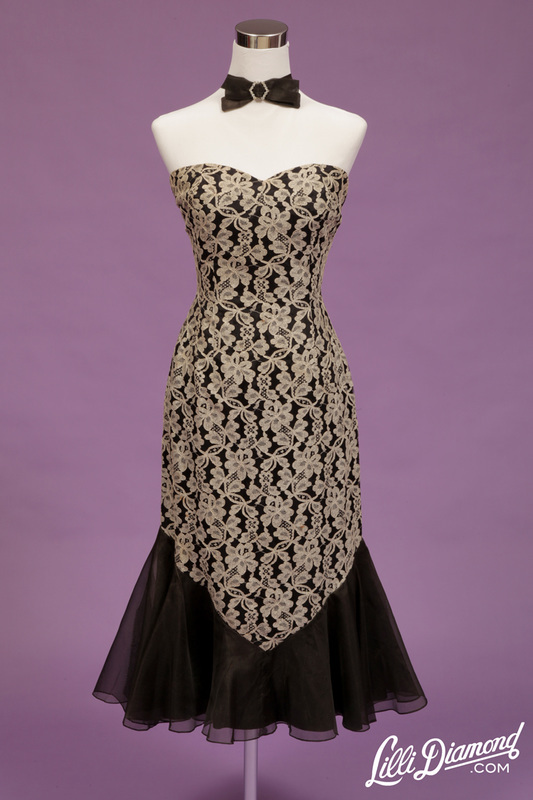 Black and white reverse halter lace dress with mermaid hem. 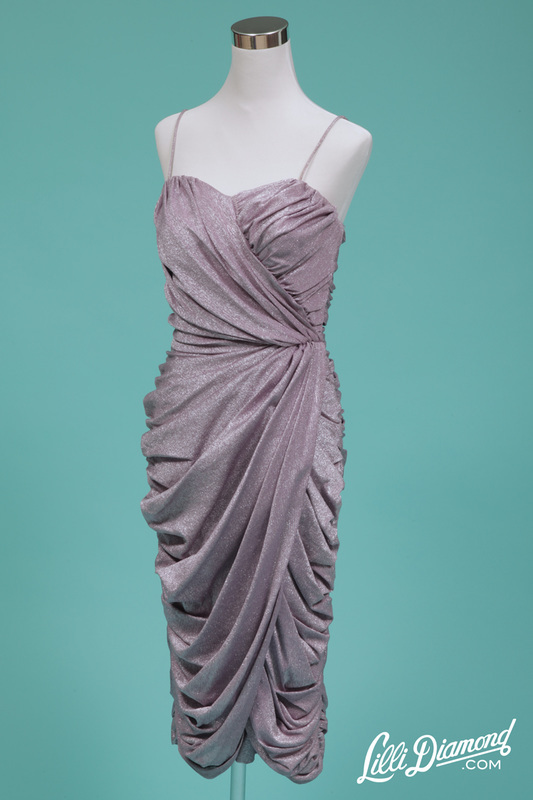 Lilac lurex ruched dress with sarong skirt and spaghetti straps. 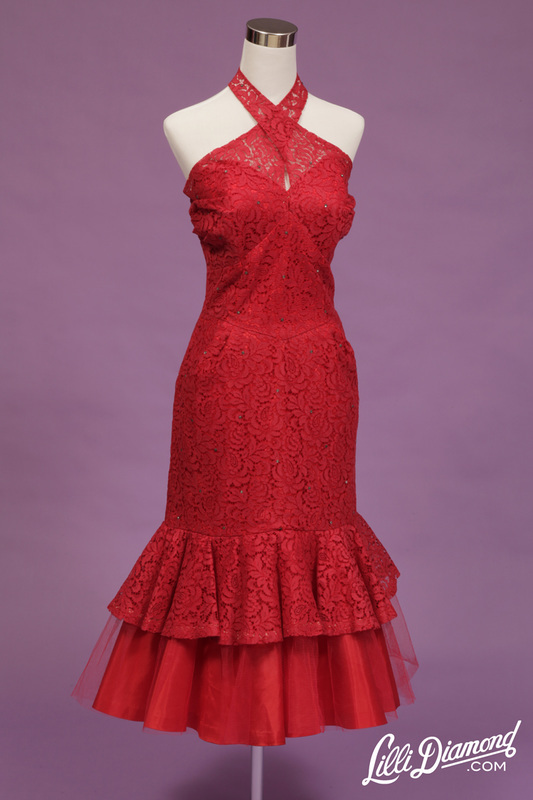 Red lace crossover halter dress with mermaid hem and claw set rhinestones. 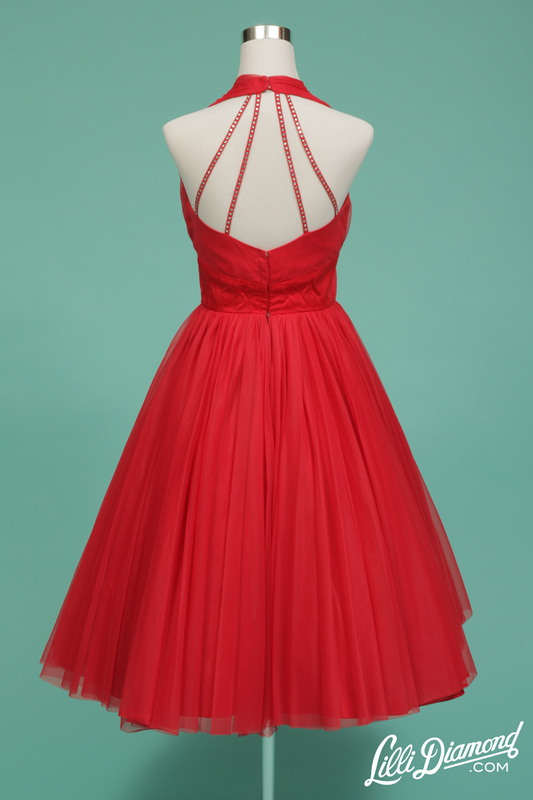 Red sheer nylon halter dress with satin waist and rhinestone cage back.